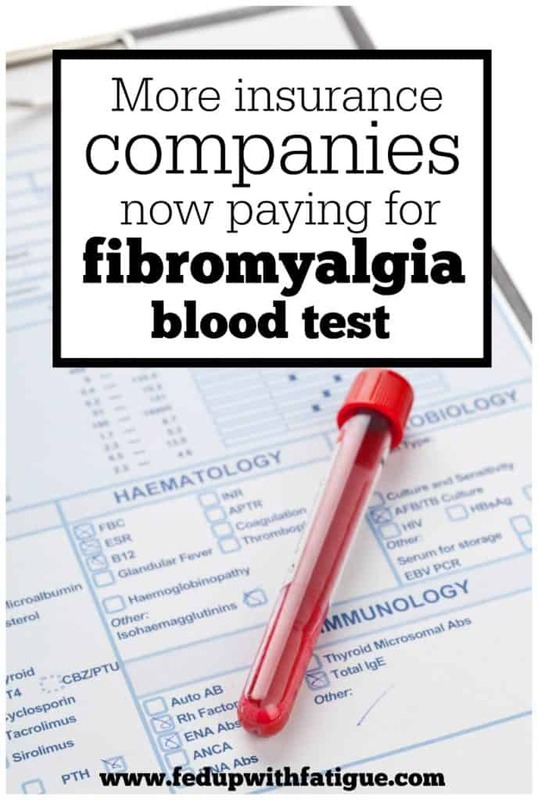 Medicare and some private insurers, including Blue Cross Blue Shield, UnitedHealthcare and Aetna, are now paying for the FM/a fibromyalgia test on a case-by-case basis. EpicGenetics, the company that developed the test, offers free assistance to determine if your insurance will cover the test. In 2013, Los Angeles-based biomedical company EpicGenetics made international headlines when it introduced FM/a, the first ever fibromyalgia test. While FM/a hasn’t caught on in most doctors’ offices, more insurance companies are now paying for the test. FM/a is covered by most Medicare plans. Private insurers, such as Blue Cross Blue Shield, UnitedHealthcare and Aetna, also are starting to pay for the test on a case-by-case basis. The test’s steep price tag – $794 – has been a deterrent for patients, many of whom are already living on fixed incomes because they’re unable to work due to poor health. EpicGenetics is trying to make it easier for patients to afford the test by providing free assistance with insurance processing. The company’s insurance processing department contacts insurance companies on the patients’ behalf to find out if the test is covered and what the cost would be to the patient. Many physicians don’t consider fibromyalgia to be a disease; they believe it’s a collection of symptoms and lump it into the “syndrome” category. 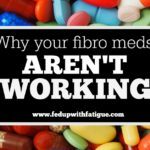 And then there’s another group of physicians who don’t believe fibromyalgia exists at all. Patients are routinely told they’re “depressed” or “getting older” – or worst still, the pain, fatigue, brain fog and other debilitating symptoms are all in their heads. According to EpicGenetics, patients can spend between $10,000 and $42,500 on diagnostic tests leading up to their fibromyalgia diagnosis. That’s a lot of money, and that’s another reason why physicians haven’t embraced the FM/a test, Gillis says. “Many rheumatologists prefer to offer patients rule-out tests, which they can perform in their office labs, thereby making for a financial incentive to follow that route,” he explains. 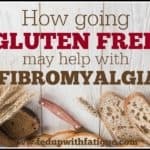 Gillis admits he used to be one of those physicians who doubted the existence of fibromyalgia, but the results of EpicGenetics’ research studies have made him a believer. EpicGenetics focuses on developing diagnostic tests where none currently exist. 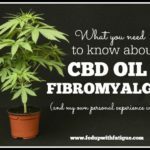 When Gillis was asked to look at fibromyalgia, he and researchers from the University of Illinois College of Medicine in Chicago theorized that fibromyalgia’s mishmash of symptoms might be caused by a malfunctioning immune system. The first study looked at a series of immune system biomarkers in 17 patients with fibromyalgia and 17 healthy people, and the results were striking. Researchers found several biomarker abnormalities among the fibromyalgia patients, leading Gillis to conclude fibro symptoms are somehow associated with a suppressed immune system. The test focuses on four chemokines and cytokines found at reduced levels in fibromyalgia patients, according to Gillis. Two subsequent studies, one of which compared fibromyalgia patients to those with rheumatoid arthritis and lupus, supported the results of the initial study, Gillis says. EpicGenetics’ research and the FM/a test aren’t without critics. The American College of Rheumatology does not recognize FM/a as a valid test. Fibromyalgia expert Dr. Daniel Clauw has said EpicGenetics’ studies contradict other research, which has shown normal or elevated cytokine levels in fibromyalgia sufferers. Researcher and rheumatologist Dr. Fred Wolfe called one of EpicGenetics’ studies “junk science,” saying it didn’t meet minimal scientific standards. 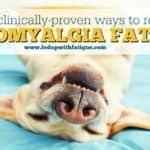 But in 2012, the American Association for Clinical Chemistry gave EpicGenetics an award for outstanding research in clinical and diagnostic immunology for its fibromyalgia research, says Gillis. EpicGenetics isn’t letting the doubters keep them from moving forward. In the future, Gillis said the company would like to study the DNA of fibromyalgia sufferers to see if a genetic component can be identified. Proceeds from the FM/a test are being funneled toward that effort. Click here for more information on the FM/a fibromyalgia test. Syndrome, ALS, Alzheiemer’s, various many rheumatoid diseases of both autoimmune, and just inflammatory constant deterioration are due to the presence of what are called “stealth infections”, or “co-infections of deep complex nature. These pathogens do much damage as parasites within all people who become either carriers, or these acute long term patients with long term disabling diseases are not understood nor well treated if treated at all due to the lack of knowledge as to the real cause of the many inflammatory diseases that become out of balance in the symbiotic relation these many types of pathogens present as to their survival mode that their presence is highly unknown, and the huge majority of people have no laboratories nor the tests that must go deeper into the very problematic.It may well be a combination of bacterial recurrent infections, trauma that is often sub-acute, but many triggers of inflammatory diseases that have caused the numbers of long-term people suffering from these immune-affected forms of life to more than quadruple over the past decades. I would refer you study the long term findings or hundreds of these scientists over the years to pursue such works as done by particularly Dr. Garth NIcolson, and his wife over many decades, and a huge number of investigative documents that have brought out the huge influence of sub-microscopic mycoplasma, and the huge things that have been found over the years, but stifled by the demands of BigPharma America. Your doctors around this country and the world in the big majority know nothing of these pathogens so common, and developed in many nefarious ways that will boggle your mind, and cause you great concerns, as it should, about how much Big Pharma knows and how hapless physicians turn to such things as today’s treatments often toxic and non-curative. If you want to know more about this now serious epidemic, I would suggest a start on FB at Dr. Garth Nicolson’s site and see the commentary of many highly knowledgable people. I am but a novice, but with some long ago courses in microbiology, and cellular biology, and find many fine minds on that site on the incredible role of mycoplasma, and many other ways that serious diseases come to be known as one huge pathogenic oversight of too many doctors not aware of these great problems. Hi Dianne, your comment made my day! I’m so glad the CBD is helping and am excited you will be trying LDN soon. It really is a miracle drug for some people. Let me know how it goes! Have you or anyone you know actually had this test performed? I’d be interested in real-life, real-people feedback. Here in Canada, the test is covered by our medical (at least it is in my province); however, doctors are still not all that quick to order it. I have never had it done though my GP “diagnosed” me with Fibro when it was first documented. Other doctors she sent me to weren’t so sure until I went to a Fibromyalgia group and I was finally officially diagnosed. I have learned more about it here on the internet than I ever did from the doctors who were treating me. what province are you in? im on ontario and cannot find any information if OHIP will cover it. Where do you go to get the FM/a test? My lab never heard of it. I have a doctors order but no clue where I can have this test done. I’d be interested in seeing your reply to John Quintner, rec your quote from Prof. Fred Wolfe. Terry, there has been no response to date! 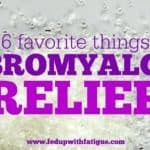 This is a good test for those suffering with a diagnosis of fibromyalgia. Not to prove to anyone that the diagnosis is real, but to ensure that is the proper diagnosis. So often times fibromyalgia will mimic other illnesses, and settling on a diagnosis of fibromyalgia could be dangerous or even fatal. Thank you for your information regarding this test at Chronic Friday lInkup. 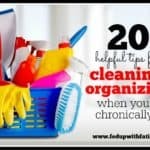 I have pinned this article to the linkup board. I have contacted Professor Fred Wolfe and he categorically denies the allegation made about him that appeared on National Pain Report under your name. Will you please clarify this matter with Dr Gillis? So, do they have doctors on staff that will order the test for you? or do you have to find one on your own and get them to order a test that they don’t really trust. I suggest you first check your facts by contacting Professor Fred Wolfe in relation to this allegation of bias. The so-called test for fibromyalgia has not been validated by independent research. Nor does the American College of Rheumatology endorse it! That peak body states categorically that there is no test for fibromyalgia. Is this blood test available in lreland? I don’t believe so but you can always contact the company directly and ask.